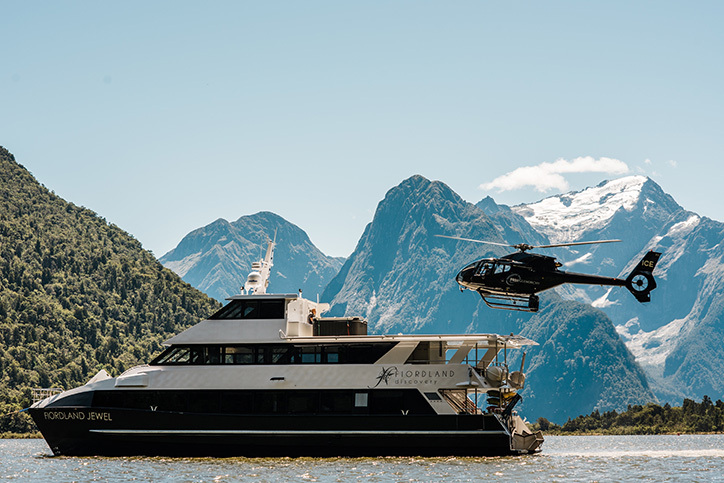 Explore Milford Sound aboard our new and luxurious 5-star boat, the Fiordland Jewel, featuring an onboard helipad, on-deck hot-tub, kayaks, tender, and superb cuisine. Departures between 18 Jul 2017 to 22 Sep 2017 (Winter Season) departs Tue/Wed/Thu/Fri only. And only offer departures from Milford Wharf. 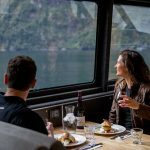 Coach transfers from Te Anau and Queenstown are not available during the Winter Season. Not only is the landscape phenomenal – the natural wildlife here is abundant too. Seals, dolphins and penguins can all be spotted from above the water on your scenic Fiordland Discovery overnight boat cruise, while rare black coral, lobsters and schools of fish can be viewed as the boat’s ROV (“HD ROV”- HD for “high definition” video, ROV for “remotely operated vehicle”) delves deep into the sea. 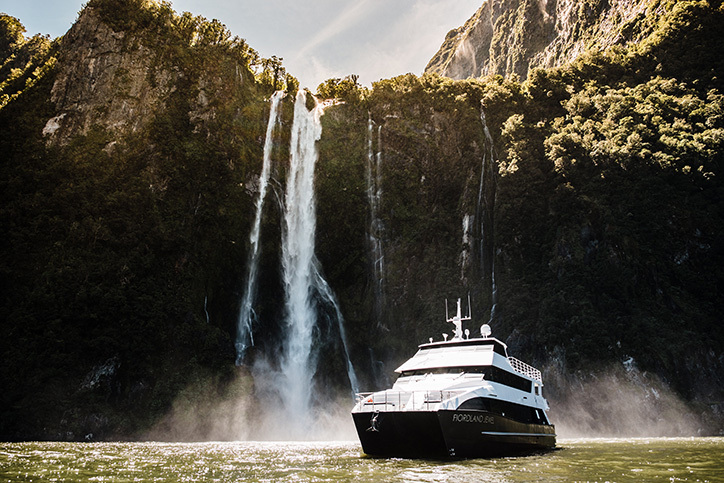 The natural wonders of Milford Sound can be enjoyed at dawn, dusk or underneath the stars on our luxury overnight boat Fiordland Jewel. 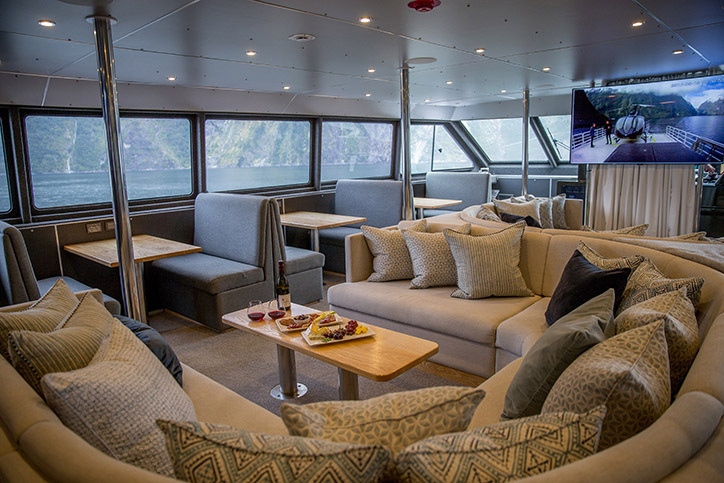 Once on board Fiordland Jewel you have the option of relaxing and enjoying the stunning scenery in intimate and well-appointed surroundings or indulging in a little adventure. We have a range of fantastic activities available. 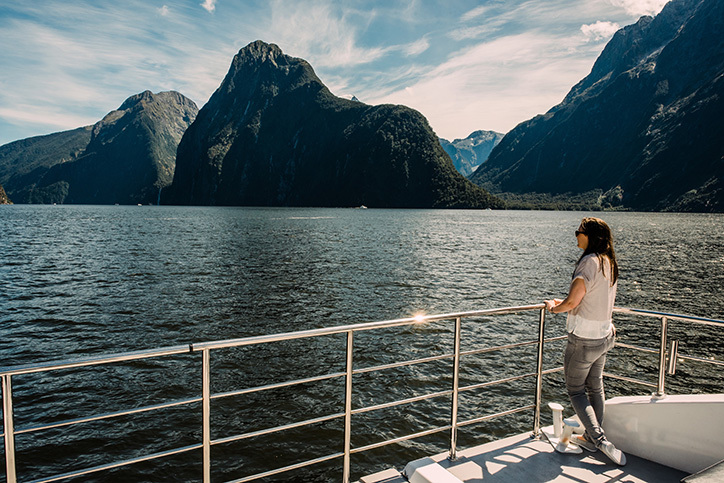 Of course, all activities in Milford Sound are weather-dependent, especially at the mouth of the fiord. But on a calm day, we’re able to launch our ROV into the rarely-seen waters, paddle below the towering cliffs in kayaks or enjoy a spot of fishing. 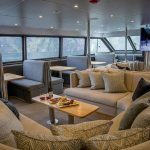 Our state-of-the-art ROV is an unmanned, remote-controlled underwater explorer with a high-definition camera, so you can view the amazing world beneath the waves, from the comfort of our vessel’s lounge. Once we’ve anchored for the night, feel free to use one of our kayaks to explore the nearby coastline – a fantastic way to end the day! The small boat at the back of our vessel, called a tender, may take you closer to the shore to see wildlife, waterfalls and other interesting landscape features. 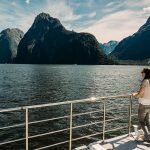 Milford Sound itself is a marine reserve so we are unable to fish there, but the mouth of the fiord and the Tasman Sea are renowned fishing spots. Here we’ll hook you up with a fishing rod – blue cod is the fish of choice in Fiordland. We may also have the opportunity to lift cray pots (lobster traps) if conditions allow. One cabin available. The Governor’s Cabin is at the top of the boat all by itself with its own full width forward window and large side windows. The bed is king size and it has a bathroom, shower and toilet. It sleeps up to two people in their own private cabin, on the private top deck. Four cabins available. On the main deck with a sea view. King size double bed and an ensuite bathroom with toilet and shower. Sleeps up to two people. Two cabins available. On the main deck with a sea view. 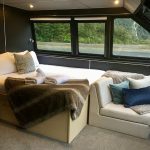 Two King single beds and an ensuite bathroom with toilet and shower. Sleeps up to two people. 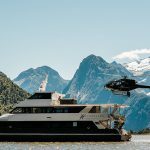 Fiordland Discovery reserves the right to amend timetables, cancel cruise departures and substitute vessels at any time for safety or operational reasons including due to unsafe weather conditions or vessel maintenance. 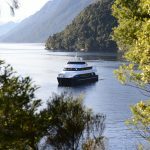 Minimum passenger numbers for Milford Sound Overnight Cruises do not apply. In the event of a cruise being cancelled prior to departure, passengers will be given the option of an alternative sailing or a full refund on the cruise portion only. Adult prices only. Fiordland Discovery defines infants as 3 years of age and under. Infants travel free of charge on board the Jewel. We are unable to supply additional beds/cots. They must either sleep in the parents bed, or as per alternative arrangements, made in agreement with Fiordland Discovery. Children 4+ years are charged at full fare. 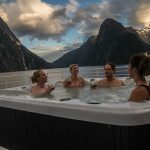 Due to variability of weather and other conditions beyond our control Fiordland Discovery cannot guarantee certain activities will be available. The actual route activities and anchorages may vary. All meals, coffee/tea are provided. Complimentary beer or wine before dinner. Cash bar service available. 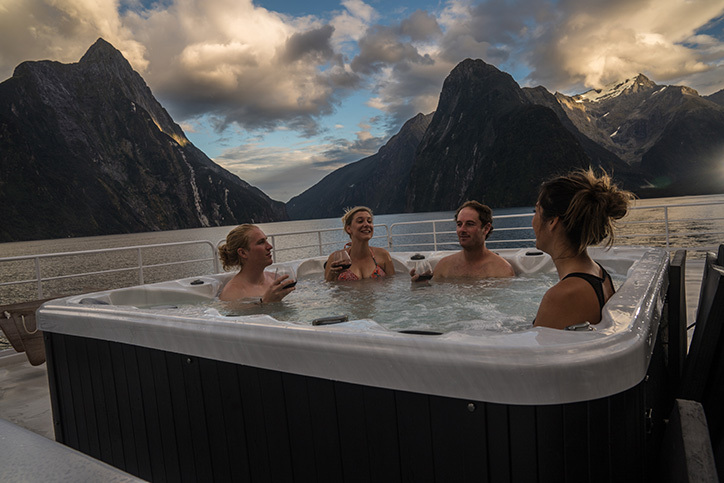 Please don’t bring alcohol on board as it will breach the liquor license on board the Fiordland Jewel. 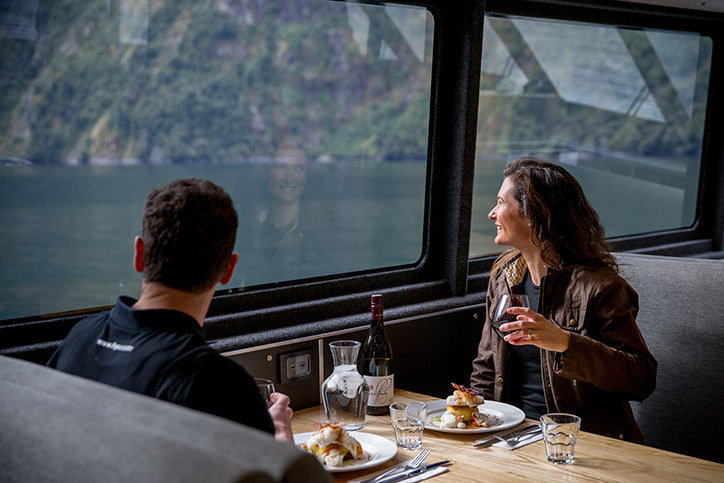 8.30am Journey to Milford Sound with Fiordland Discovery luxury coach, or by car from Queenstown. By land, you’ll be able to stop in the Eglington Valley and at the mouth of the Homer Tunnel. 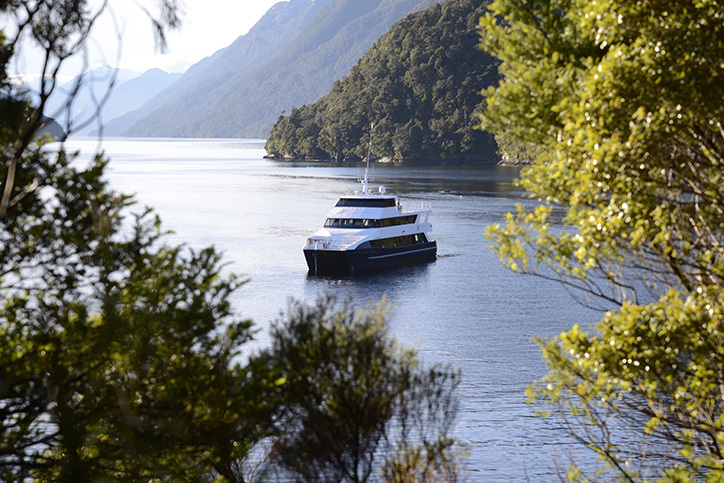 12.45pm Arrive in Te Anau to collect any remaining passengers needing coach connections to Milford Sound. 3.50pm Meet the crew at Fiordland Discovery’s terminal office for boarding at 3.50pm. 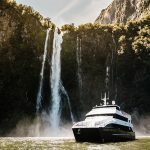 4.30pm Cruise down the south side of the fiord, past Bowen Falls, Sinbad Gully, the world-renowned Mitre Peak, Mt Pembroke, Bridal Veil Falls and Fairy Falls. 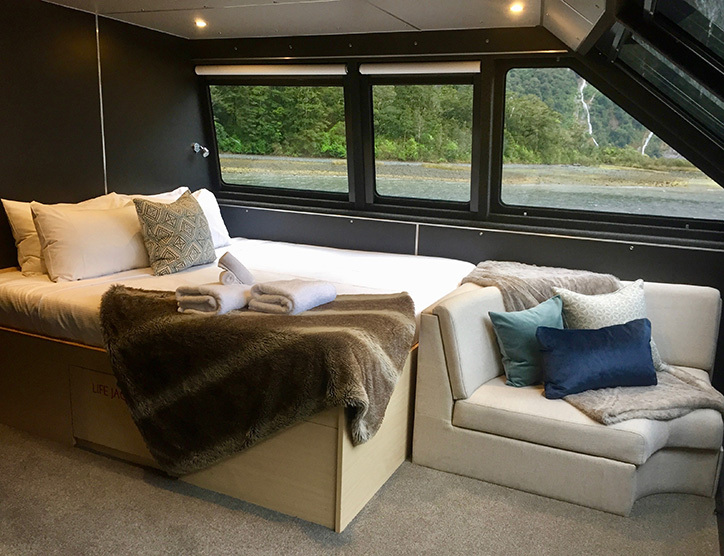 If weather permits, we cruise into the mouth of the fiord past Anita Bay, and head into the Tasman Sea for a glimpse of the West Coast, before returning into the sound. 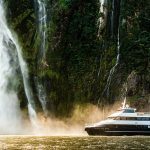 Venture up the north side of the fiord past Dale Point, the Piopiotahi Marine Reserve, Seal Rock, Stirling Falls, The Lion and the Cascade Range. 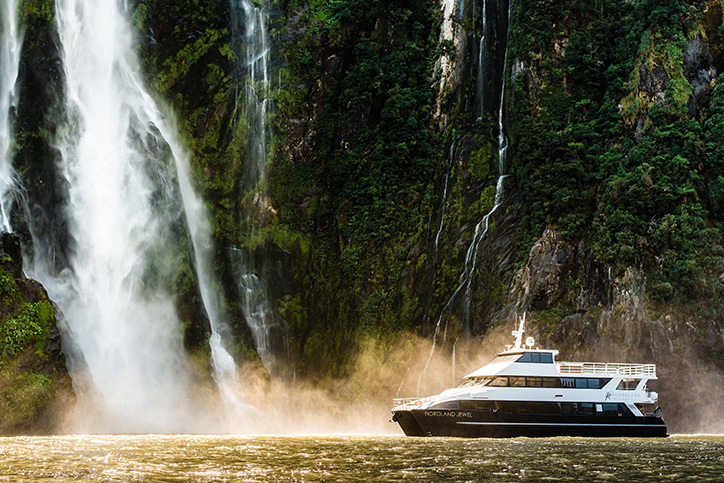 From 7.00pm After cruising, we anchor at Harrison’s Cove or Deepwater Cove for the night. There is then the opportunity to explore nearby in the on board sea kayaks, before returning to the boat for drinks and dinner. 6.00am Dawn arrives at 6am in December, but can be as late as 8am in March. There are 12 reviews of this tour from past clients of Relaxing Journeys, averaging 4.8 out of 5. The cruise was amazing. Only downside we had bad weather which made us feel quite ill. The cruise team were brilliant though. Relaxing Journeys were very helpful and kept us informed about our trip - thank you Mani. We did have a mix up with the accommodation, that the cruise team sorted. I thought I'd said that we would need a queen and a twin room, we both had queens. Anyway it wasn't a problem as the cruise team rearranged rooms for us. Loved the whole thing, great food, service and attitude by the crew. Nice accommodation. We enjoyed the boat very much and the crew. The paperwork is slightly misleading as it indicates you only have to pay money for 'extra alcohol', when in fact no alcohol is included. We loved the boat, but felt it was a bit rushed to fit everything in. We didn't enjoy all the confusion around the secure car parking at Te Anau. The confusion is we booked our tour with you 'Relaxing Journeys', but were to collect our car park pass and pay at 'Real Journeys' , then go to the car park and park, then wait to be collected by Fiordland Discovery. Far too many variables in this equation and very confusing as the two company names Relaxing and Real journeys are nearly the same but totally different. I would definitely make a change to this as it was very stressful for us. Otherwise we loved the boat, the crew, the food, the accommodations and the scenery. Amazing!!!! Everything went extremely well, well planned, one of the best experiences I've ever had. The crew, boat and views were superb. Thanks for everything. Excellent service from first email to end of trip at airport. Toni was excellent at answering emails and dealt with my queries promptly! Give this girl a raise/promotion! (ed. - noted). Cruise with Rob and the boys was a great experience - genuine kiwi hospitality and scrumptious dinner! Not to forget the spectacular views! Beautiful cruise with only 11 of us on board and the food was superb with a Chilean chef now on board! Dinner was fresh crayfish and beautiful desert, washed down with NZ wine! Other passengers were great fun and a calm overnight sleep. We loved it and the crew were great fun including skipper Carl. A beautiful cruise in a beautiful place. Would 100% recommend to anyone wanting to see Milford Sound. What made this tour the best was how the cruise only takes up to 20 people so plenty of space to view the dolphins, seals and penguins from anywhere in the boat. Fresh seafood dinner cooked for us and the boat was very luxurious. The staff, food and trip is excellent. We would highly recommend this event to all and we would go back and do the longer trip.